There are now thousands of people trading the hottest cryptocurrency in the world, the Bitcoin. While traders kept flocking to the digital currency market, what determines Bitcoin value remains a mystery for many. 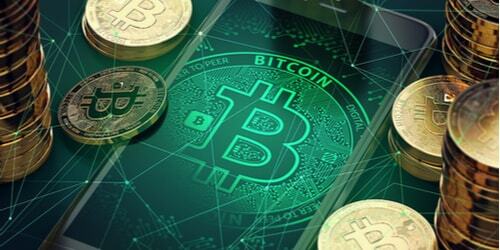 The computation for value of digital currencies is more straightforward compared to traditional currencies in the forex market but its pace is a lot faster than the stock market. There has been a confusion on how a cryptocurrency’s value is determined if it surged faster compared to the hottest stocks in the equity market. What really sets Bitcoin’s value? Or rather who? Bitcoin is a type of digital currency that uses blockchain technology to perform operations and transactions. Compared to printed currencies such as dollar and euro, there is no single entity that controls it. It has become the very first decentralized payment network that is now used to pay services. Since no one controls it, there is no one major factor that can explain what determines Bitcoin value. Because of this, there are people, some marquee names, who have criticized Bitcoin for lacking intrinsic value. The Oracle of Omaha, Warren Buffet, has even tagged it as a ‘mirage.’ Despite an avalanche of tirades, the popular cryptocurrency managed to earn mammoth gains in the past five years. Meanwhile, Bitcoin enthusiasts remind us that the digital currency has proved its significance in financial services including exchanges, payments, and contracts. Since there is no specific entity, like a government, that monitors it, its supply cannot be inflated. In fact, there are 21 million bitcoins produced, with 80% already mined by business merchants and traders. It is safe to say that what determines the Bitcoin value is the transactional and reservation demand. These are two things that make up its monetary base. The transaction demand is the demand for floating money, say for Bitcoin, those that are already mined while reservation demand is those that are hoarded for long term purpose. Since Bitcoin can be both spent (for payments and exchanges) and hoarded (another activity that sparks debate between investors), the demand for the cryptocurrency surge at a rapid rate, which bolsters both prices and its fair market value.